"These projects demonstrate how important it is for engineers to develop their design skills," said Dr Moultrie. "It's not just about mastering the technology and science - engineers also need to think about their products from a user's perspective and design things that are both attractive and easy to use - and that fill a real need. Good design, in its widest sense, plays a vital part in turning technology into exciting and successful products." "Our team set out with the aim of providing the visually impaired with confidence in the real world. Along the way we came to understand the difficulties faced by visually impaired people during their daily lives," said Samaan Rahman, one of the four members of the Touchsight team. Products with electronic sensing systems for the blind do exist but very few have achieved widespread popular appeal and most are instantly noticeable and potentially stigmatise the user. 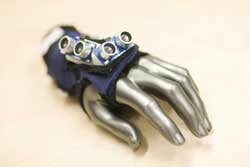 The students came up with a revolutionary glove-based system, which combines ultra-sound with sensory feedback. The product is unobtrusive and enables the user to 'sense' their immediate surroundings. Trials with blind users have resulted in extremely positive feedback and a demand for the product to be taken all the way to market. "Analysis carried out by the team has shown the product to be technically feasible as well as financially viable," said Samaan. "Furthermore, from the invaluable feedback given by user groups, we are confident that we have a product with the potential to improve the quality of life for many people." Axi-Shield is a versatile mobile accident screen capable of fast and safe deployment on major roads, to reduce the likelihood of secondary accidents caused by 'rubbernecking'. It could be deployed from a standard transit van in under five minutes to provide rapid protection around an accident scene. Rubbernecking costs an estimated £27m annually in the UK, through time lost and secondary accidents. The UK Highways Agency has been investigating screening systems. A cheap and flexible solution is needed which could be rapidly deployed and Axi-Shield addresses this need. The development team believes it represents the most advanced mobile anti-traffic screen in the world. The Snowshell arm guard has been designed from first principles, based around a thorough understanding of how the arm behaves during a fall. There are an estimated 450,000 serious injuries globally as a result of snowboarding accidents. Over 45% of these are injuries to the arms. 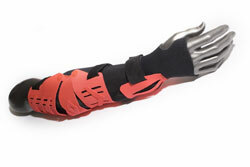 Although there are a large number of wrist and arm guards on the market, users complain that they are unappealing, uncomfortable and do not provide real protection in a major fall. The Snowshell arm guard aims to address all of these concerns, providing a carefully engineered solution that prevents the arm 'locking-out' during a fall, as well as providing wrist support and impact protection. There are a growing number of movies being produced in 3D formats, but which can only be watched using expensive and high-tech equipment. 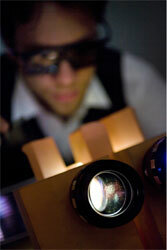 The MyMax system is an optical device which, when added to the front of a standard projector, enables these films to be viewed in all their 3D glory. This simple solution makes 3D cinema in the home a reality. "Developing MyMAX was a technical and business challenge, particularly as we were all too aware that the market for such a product is time-limited," said team member Sarah Edmund. "Overall we are very happy with the outcome, both in the way we managed to work as a team and to get MyMAX itself to work!" The domestic cleaning market is huge and presents many opportunities for innovative products. Camsonic is a hand-held device which uses ultrasonic technology in a novel way to clean surfaces without the need for scrubbing - or detergents. This innovative design uses standard energy cells (similar to those used in hair curlers) to provide a current of warm air around the body, through a custom-designed jacket. This solution improves on battery powered systems by offering a significantly longer period of warmth, and greater responsiveness. The last 10 years has seen much innovation in the design of razors for shaving. However, there has been less focus on the design, packaging and delivery of shaving foam and cream. 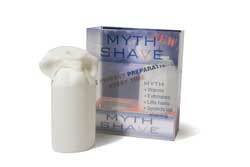 The Myth Shaving preparation takes a radical look at the way in which shaving foam is used. The foam is applied directly to the face, via a custom designed applicator. 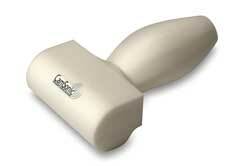 More importantly, the foam is delivered warm, to improve and speed up the shaving experience. This product offers users an 'interactive workout', with a high-tech punch bag. 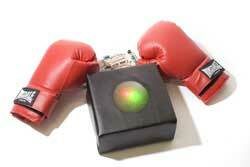 A pattern of sensors and illuminated patches can respond to your boxing skills, providing a workout that will challenge even experienced boxers. The punch-bag encourages the boxer to move around it and hit illuminated targets. Things are made harder by its ability to 'duck' a hit through vertical movement. There are many 'water guns' on the market. There are none that deliver a substantial volume of water in a single shot. 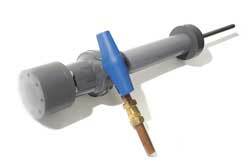 Water Mortar uses a novel nozzle design to produce a coherent 'slug' of water for maximum saturation. It doesn't just outperform the competition in water delivery - it destroys them! 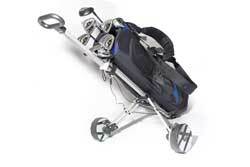 Keen golfers are likely to have both a golf bag, and a separate trolley. Together, these are bulky and use valuable space in the car boot and represent a problem for golfers wanting more freedom to go off paths. This solution combines the two, with a novel locking mechanism to enable the bag to function as a stand-bag, carry bag and a sturdy trolley. Once retracted, the bag is no larger than a normal bag and is little heavier thanks to a clever choice of materials.